How to shop in MbN Online shop? Basically, if you would like to explore the idea and looks of Made by Noemi – then ‘Shop by Collection’ will give you that presentation. If you on the other hand already know the model/style you want and crave – then ‘Shop by Style’ is where all models are sorted by sort. 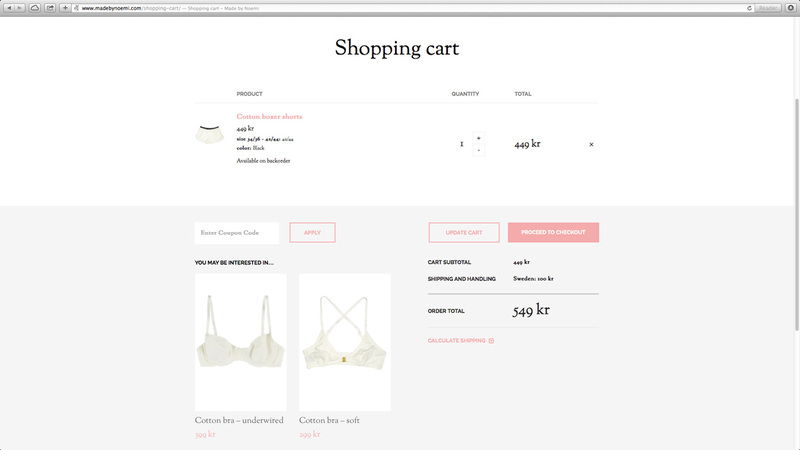 If you wish to change currency from Sek (MbN supports also Dkk and Euro), you can do so at the bottom of the page! Read more about Payment methods for each currency here. Once you find the style you want, select desired size and color. The ‘Add to cart’ button will then appear below! Here are our Size Guides that help you finding the right size. 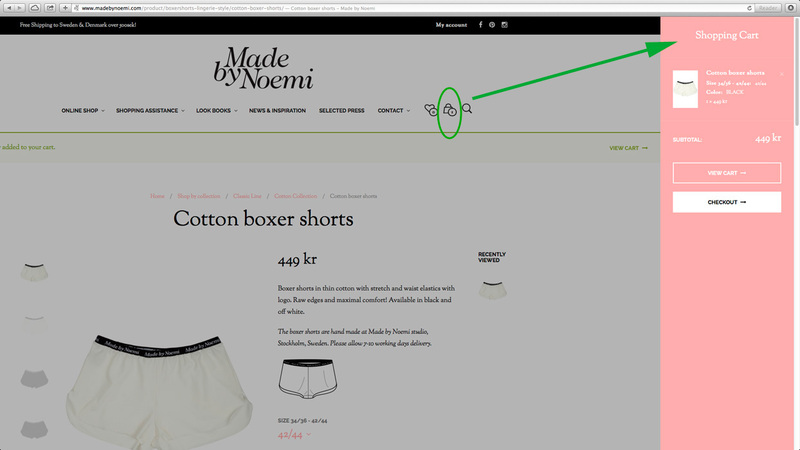 Please note that some styles are made to order – see more information on style level. When you have added the styles to Shopping Cart, the little ‘Shopping Bag’ symbole will have a number showing the amount of pcs in it. 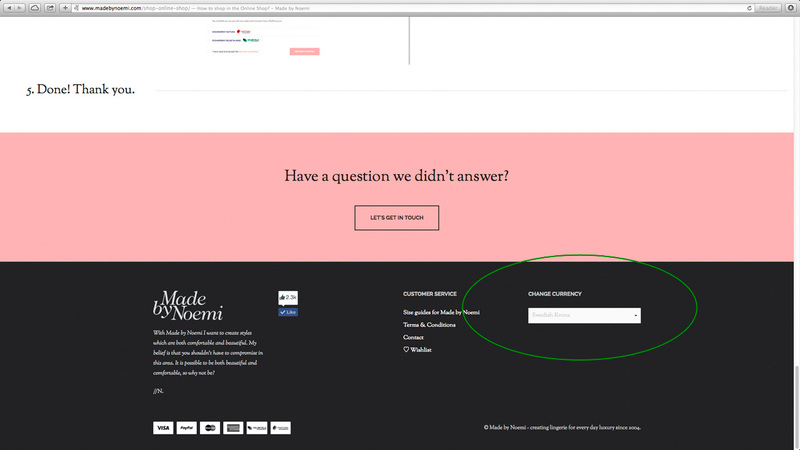 If you click on it the preview will open on the right side of the screen – the pink area. 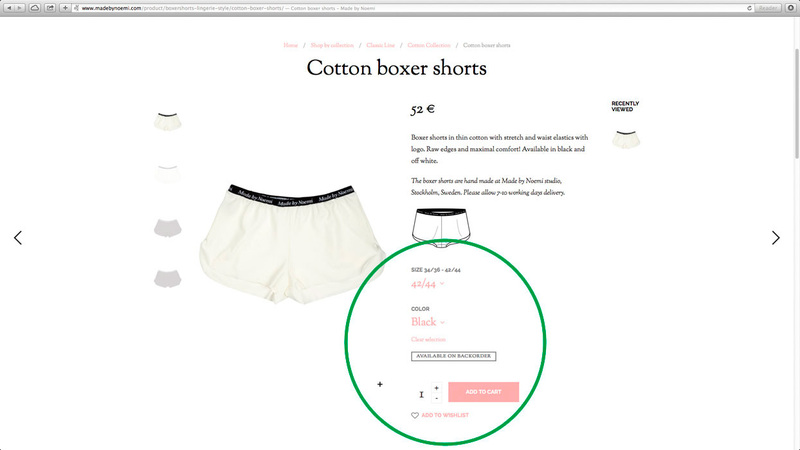 Easy to use when you wish to continue shopping and just need a quick preview! 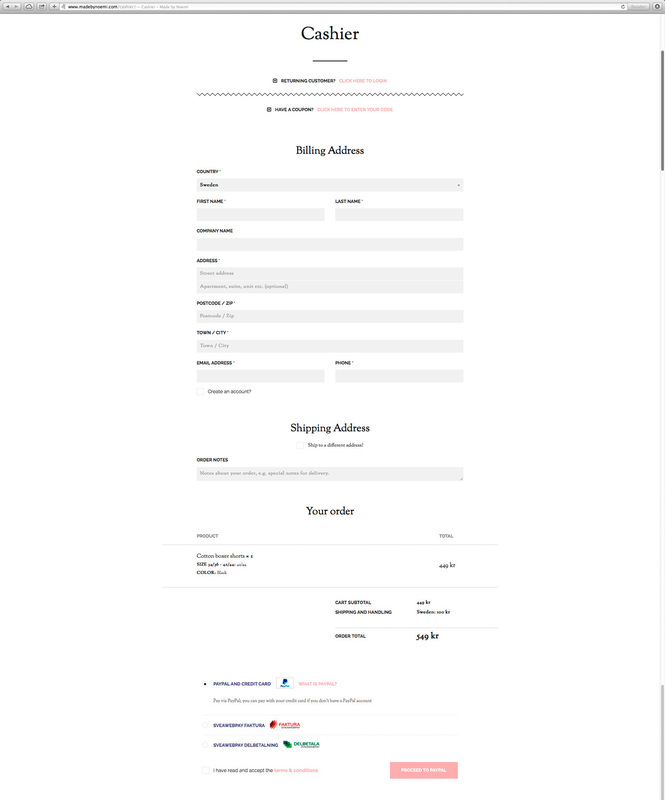 Once you are done shopping you can go to ‘Shopping Cart’ page and fully see your entire order. From there you go further to Cashier too if you wish. You can there also see the suggested styles that goes with your selected styles, remove or add more pcs per style etc. At the Cashier you can Login to your account*, create a new account* or just use the Guest Check out without register if you wish. * Registering for an account give you the possibility to get special offers on your shopping and helps you to keep Wish list and order history. Free of charge and with love!